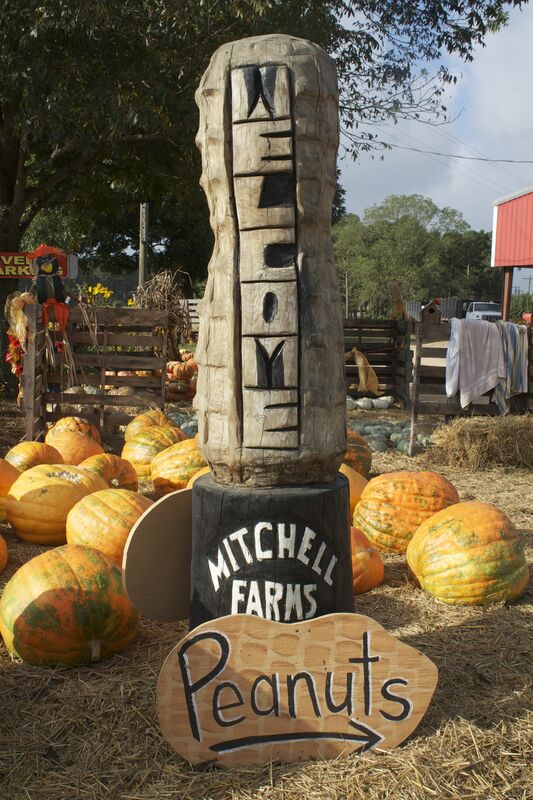 Michelle and I went to Mitchell Farms in Collins, Mississippi this morning to pick up some green peanuts for boiling. This is the big season for agri-tourism and there were lots of kids there to visit in the pumpkin patch (and pick their own) as well as other fun activities like wagon rides, wandering the corn maze, playing in the corn pool (think of a ball pit filled with dried corn kernels), and petting the animals (including seeing a goat castle). We stopped by her grandfather’s place for the big boiling pot and propane tank. He will be turning 93 at the end of the month and he just had me toss the stuff in the back of his truck for him to drive it to her house. 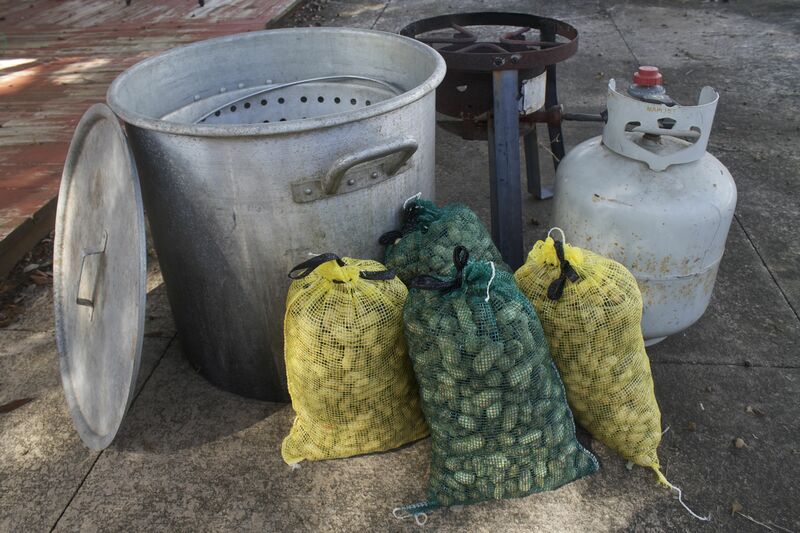 Unfortunately, after we had rinsed the peanuts and filled the cooker with water, spice and salt, we couldn’t get a hot flame. After several hours of it not coming to a boil, we borrowed crock pots from nearly every family member (her sister, her mother, her great-aunt) and let them slow cook overnight. The recipe I’m giving is for one of the 2 lb bags you can get at the farmer’s market or grocery store. We did 20 lbs of peanuts in 12 gallons of water and sized up all the ingredients before dividing it between four crock pots for the overnight cook. 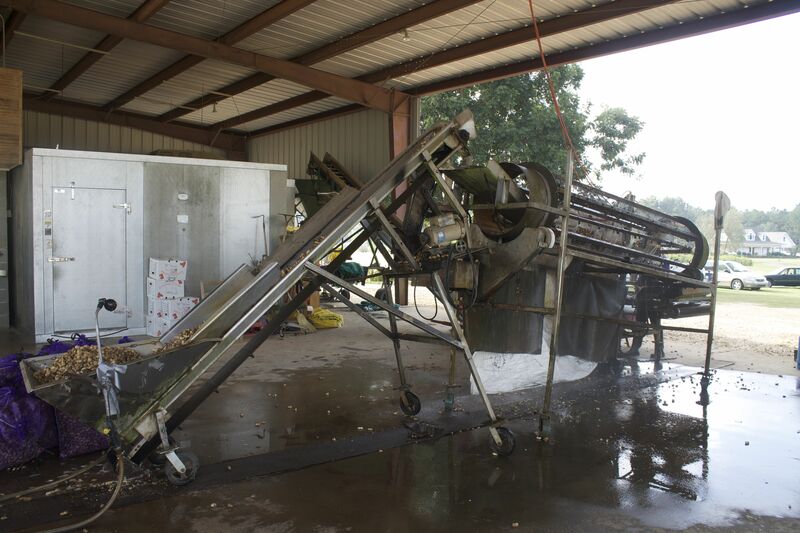 Wash the peanuts in cool water until the water runs clear. This will take several rinses. If very dirty, let them soak in the cool water for 15 to 20 minutes to loosen the dirt before rinsing again. Add the peanuts to a 12-quart pot along with the salt, crab boil and 3 gallons of water. Stir well. Cover and cook on high for 4 hours. Check the texture of the peanuts at this point for doneness. 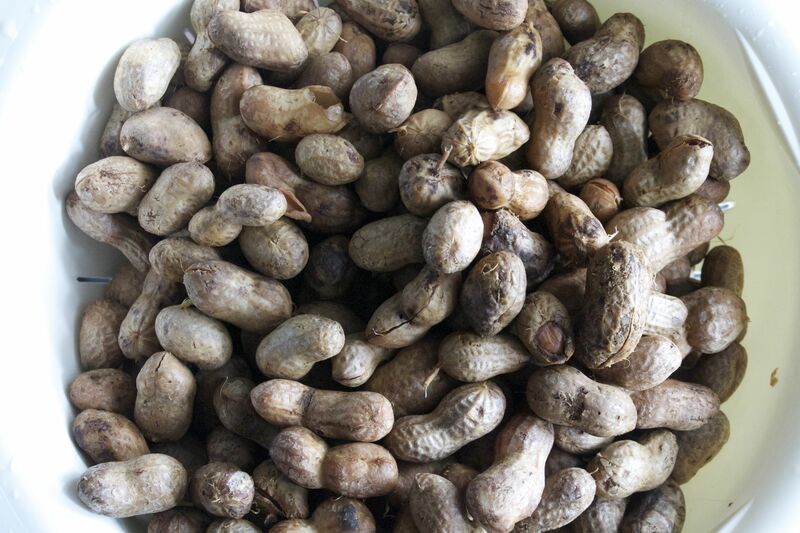 When done, boiled peanuts should have a similar texture to a cooked dry bean. It should hold its shape, but not be crunchy when bitten. Add more water throughout the cooking process, if needed. If necessary, continue cooking for 3 to 4 hours longer. The cooking time can vary greatly depending on how fresh the peanuts are. The greener the peanut, the less time it will take to cook. Drain the peanuts and store in a covered container in the refrigerator for up to 1 week or freeze them for up to six months. Alternatively, put them in a slow cooker on high until it boils. Reduce to low and leave overnight. Check for doneness and turn back to high in the morning, if necessary, to finish cooking.